Well, that is exactly what happened yesterday at Downtown Raleigh 2012: An Economic Forum held by Downtown Raleigh Alliance. The first speaker at the two hour forum was Craig Youst, Senior Director – Global Facilities of Red Hat, who spoke about Red Hat’s decision to move into downtown Raleigh over other tech based city cores like Austin and Atlanta. The move is anticipated to be a 10-year, $1.2 Billion economic impact. One key point he discussed that “opportunity can knock at anytime”. Next was John Van Coutren, Executive VP, VG Hospitality. John discussed the decision to build a Hampton Inn & Suites hotel in a challenging Glenwood South district location. He also discussed how they were able to overcome a number of challenges, including financing and construction, in today’s economic situation. Lastly, Dwight Bassett, the new Economic Development Manager for the City of Raleigh, provided an overview of the city’s new approach to coordinate multiple economic and development initiatives. He discussed having a strategic and balance growth plan. He mentioned having private investment being key to economic development. In addition to hearing great perspectives on downtown Raleigh was the 40+ page publication designed specifically for investors and economic developers with clients interested in exploring a new business in Raleigh’s downtown. For me, the forum added to what I have come to learn over the past six months of being more aware of and active in downtown Raleigh. The changes that have occurred here has provided a transformation from a city core that was generally vacant after 5:00 pm and weekends to a vibrant core with an active and attractive work and social scene. 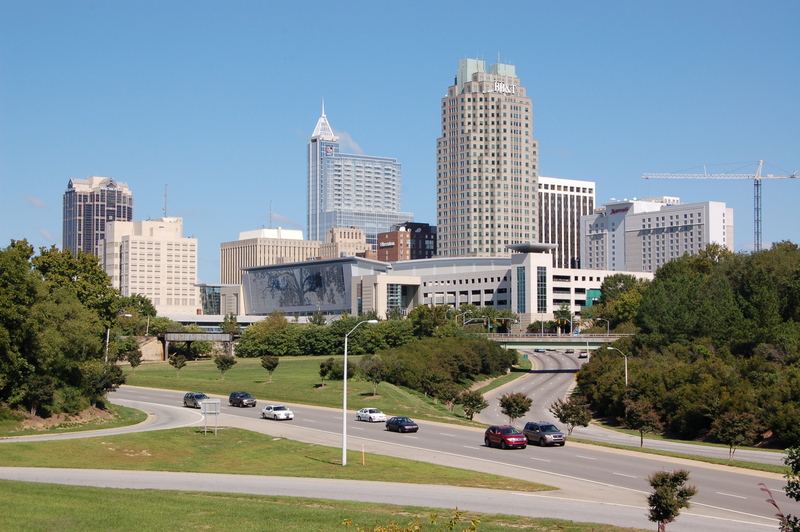 What do you see is the future about downtown Raleigh? Well...there is a lot to know. #Cx, #Analytics, #SM, Specialty #AgChem, #StL sports, & more. FT @BASFAgProducts. @Mizzou Alum. Supporter of the #Rhino. Tweets my own. #SMMW17 attendee....Dad...Hiker...Scouter...and so much more.